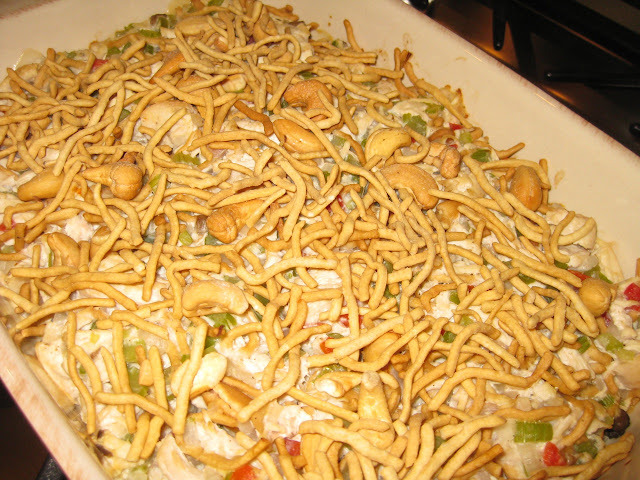 This is my grandmother, Nila’s Chicken Capri recipe. 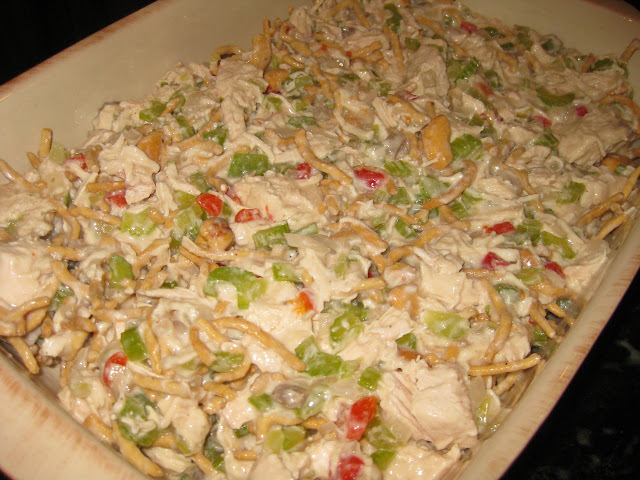 It is wonderful and an super simple casserole that she used to serve back in the 1970’s in Ohio when they had friends come over. To tell you had good this casserole is, my mom told me a story of when she and my dad had a friend over for dinner. The man’s wife was out of town, so between him and my mom and dad (more so my dad than my mom), they finished off this entire casserole in one sitting! You will need chicken broth, Chow Mein Noodles, an onion, celery, a can of mushroom soup, a small jar of pimiento, and cashew nuts. Cook chicken until done. Chop into bite-sized pieces. 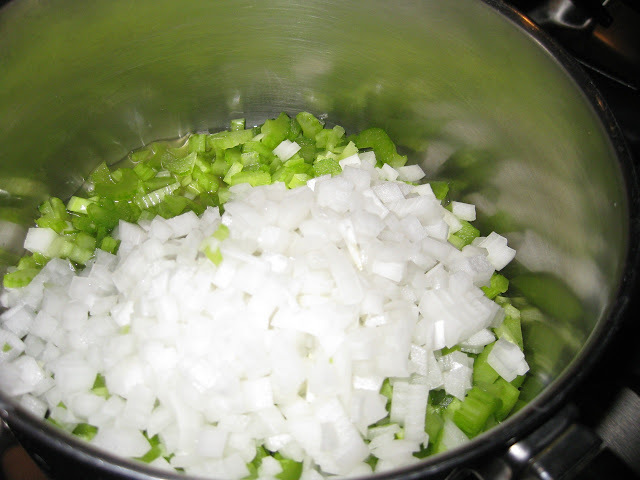 Simmer celery and onion in chicken broth. 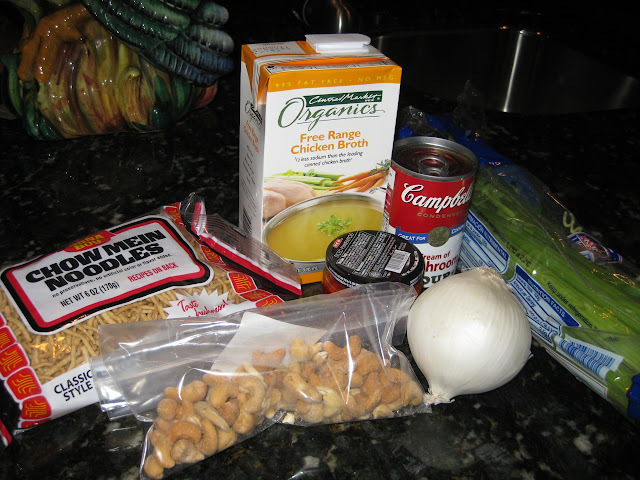 Dilute soups with additional chicken broth. Mix all ingredients together, reserving some nuts and noodles. Place in a casserole dish and bake at 350 degrees F for 40 minutes. 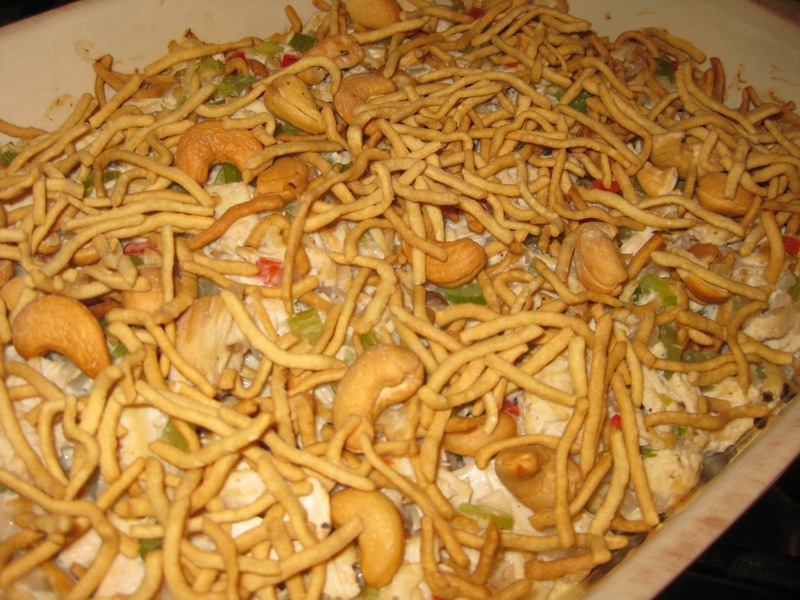 Top with additional cashews and noodles during the last 10 minutes of baking. 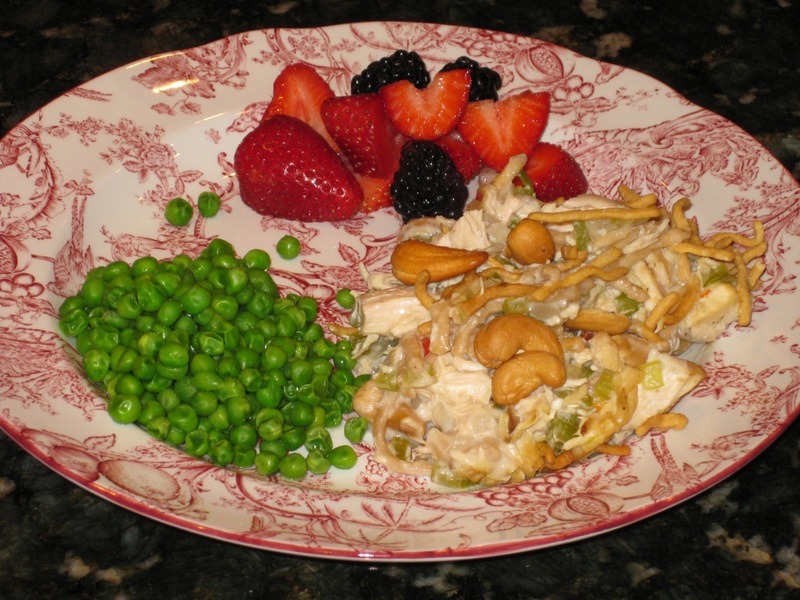 We served ours with peas, strawberries, and blackberries. Enjoy! Cover chicken with water seasoned with salt and pepper. Cook until done, then de-bone chicken and chop into bite-sized pieces. Simmer celery and onion in chicken broth. Dilute soup with ½ cup chicken broth. 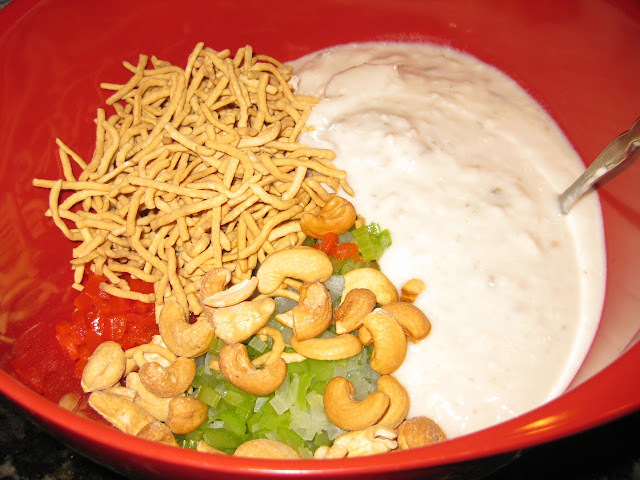 Mix all ingredients, reserving some noodles and nuts. Place in casserole dish and bake at 350 degrees F for about 40 minutes or until bubbly. Top with remaining noodles and nuts the last 10 minutes of baking.